We are committed to providing safe and effective sedation options for our patients. We use all of the appropriate equipment to monitor vital signs, and maintain the necessary emergency equipment and medicine to safely perform each case. Our goal is to help minimize or even eliminate the emotional stress that can be associated with dental treatment. 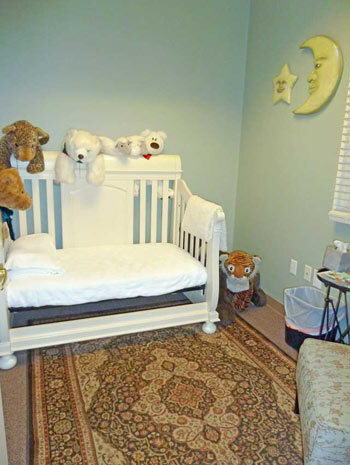 We will treat your children with the utmost compassion and empathy, and do everything we can to make their visits with us as pleasant and non-threatening as possible. We offer three different types of sedation: Nitrous Oxide, Oral Conscious Sedation and General Anesthesia. Nitrous oxide, more commonly known as laughing gas, is one of the safest and most predictable sedative agents available in dentistry, and has been used safely for decades. It is administered with a mixture of oxygen, and helps relax and calm our patients within a few minutes. Because it is a mild sedative, patients are awake and can still communicate with us during treatment. The medicine is given in the office; your child can watch a movie or play quietly while we wait for the medicine to take effect. Conscious sedation has the benefit of making children drowsy and less reactive during dental treatment. Every child reacts differently. Half of the children that are sedated respond extremely well to the sedation. There is little to no crying or distress. Some may drift off to sleep, but be woken easily; some will giggle, sing or just stare off into space. The other half of the children that are sedated will respond completely differently. These children will display different degrees of uncooperativeness. Some may fuss a bit throughout the procedure, while others will cry, yell and be angry. We cannot guarantee that your child will not have any negative reactions; we can promise that our staff will give your child the same care and compassion that each of us would give our own children. Some children because of their young age or due to the large amount of treatment they require would benefit from something more than what nitrous oxide or oral sedation can provide. Office based anesthesia is an option that our dental team may discuss with you. With office based anesthesia your child is put to sleep for the dental procedure by a dentist anesthesiologist while the pediatric dentist completes the dental treatment in one visit. A physical evaluation is required prior to general anesthesia for dental care. This physical assessment provides information to ensure the safety of your child during the general anesthesia procedure. Your pediatric dentist or general anesthesia provider will advise you about evaluation appointments that are required. Parents are instructed to report to the pediatric dentist any illness that occurs prior to the general anesthesia appointment. It may be necessary to reschedule the appointment. It is very important to follow instructions regarding fasting from fluids and foods prior to the appointment. Your child will be discharged when stable, alert, and ready to depart. Patients often are tired following general anesthesia. You will be instructed to let the child rest at home with minimal activity until the next day. Post-operative dietary recommendations also will be given. For further information, please visit the American Academy Of Pediatric Dentistry web site at www.aapd.org.